Unlike any other cover crop prod­uct,only PURE-​FORMANCE prod­ucts con­tain the genetic abil­ity to give you uni­form growth and con­sis­tent, depend­able per­for­mance in every bag. 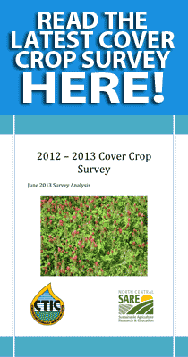 Cover crop grass and legume per­for­mance varies depend­ing on envi­ron­men­tal con­di­tions. 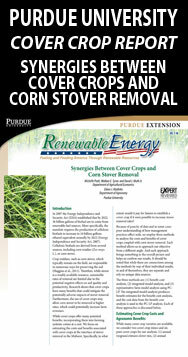 No sin­gle cover crop type or vari­ety is best in all environments. The adap­ta­tion of a species or its poten­tial longevity in the filed, is deter­mined greatly by genetic cold-​hardiness traits, and its tol­er­ance of other site, soil, and use conditions. Among the other fac­tors that affect the suit­abil­ity of a cover crop species are: drought tol­er­ance, soil pH level, fer­til­izer nutri­ent require­ments, soil dam­age, inten­sity, and har­vest or grazing. Nitro is ideal for plant­ing in the late sum­mer or early fall. Sig­nificant amounts of Nitro­gen can be cap­tured when planted 30 to 60 days before the first killing frost. Nitro grows quickly and winter-​kills so it does not need to be sprayed out or incor­po­rated to pre­pare a spring seedbed (in cold climates). Over the win­ter, the tap­roots break down, leav­ing holes in the ground that assist in water infil­tra­tion and root­ing of the next crop. These roots also reach deep into the soil pro­file and gather left­over, unused, resid­ual nutri­ents and bring them to the sur­face to be used by the next cash crop. With its fast-​growing abil­ity, Nitro’s bio­mass recy­cles excess soil nutri­ents. In addi­tion Nitro eas­ily decom­poses, leav­ing the soil rich in nutri­ents, and increas­ing your soils organic mat­ter levels. Cen­tu­rion is a top-​rated diploid annual rye­grass. Cen­tu­rion was bred for improved win­ter har­di­ness. Cen­tu­rion can with­stand the cold cli­mates of the upper-​mid west and pro­vide farm­ers with ample for­age. Cen­tu­rion is known as a high for­age yielder. Cen­tu­rion also has improved dis­ease resis­tance. Older vari­eties are sus­cep­ti­ble to com­mon dis­eases but Cen­tu­rion was selected for im­proved dis­ease and pest resis­tance. Dur­ing the selec­tion process spe­cial atten­tion was paid in the breed­ing for use in the cover crop and for­age market. A new CER­TI­FIED vari­ety of cover crop radish, Aer­ifi is bred for uni­form growth, delayed matu­rity and fast estab­lish­ment with a large tap root. Aer­ifi excels at scav­eng­ing those long lost nutri­ents deep in the soil pro­file. As it decom­poses those nutri­ents are released back into the top-​soil and made avail­able for the next crop. Aer­ifi is also very fast to ger­mi­nate which allows it to out com­pete weeds which do noth­ing to improve soil qual­ity. It’s fast growth also means that it will get well estab­lished before tem­per­a­tures drop and kill slower varieties. As a CER­TI­FIED crop you are guar­an­teed that what you plant is the crop you paid for. This cer­ti­fi­ca­tion process assures that the results you have come to expect will be repeated year-​after-​year and that your cover crop is per­form­ing at it’s opti­mum level. Vivant is a quick-​growing, leafy bras­sica with min­i­mal bulb devel­op­ment and is best suited for mul­ti­ple graz­ings. Vivant was selected for late bolt­ing and vig­or­ous regrowth after graz­ing. Vi­vant’s high feed qual­ity and digestibil­ity leads to increased ani­mal per­for­mance and increased pro­ducer profits. Vivant has broad adap­ta­tion and can be used for all classes of live­stock, includ­ing dairy, beef and sheep. Vivant can extend the graz­ing sea­son when cool sea­son pas­tures slow down in sum­mer are late fall. Vivant re-​grows along with other sum­mer annual grasses for mul­ti­ple graz­ings. Plant Vivant with cereal grains or Annual rye­grass in the spring or late-​summer to pro­vide excel­lent ton­nage and high qual­ity for­age to this mix. Vivant can also be used as a break-​crop in order to ren­o­vate older pas­tures to dif­fer­ent species and newer vari­eties. An annual crop gives a big­ger win­dow to elim­i­nate the old unde­sir­able for­age through the use of her­bi­cides and tillage. With the poten­tial to yield 10,000lbs of dry mat­ter per acre over mul­ti­ple graz­ings, Vivant has very good pro­duc­tiv­ity and shows excel­lent plant per­sis­tence after mul­ti­ple graz­ings. Use Vivant for excel­lent early crop growth.